You wouldn’t think it had been the shortest month of the year, what with the amount of work coming out of this Manchester comms agency of late. Allow us to digress. First up, we’re delighted to have received a new PR agency brief from Little Sports Coaching, with the client calling on our expertise in bagging earned media coverage to help further its reputation in the sports sector. We’re also delighted to have been shortlisted for yet more awards following our last accolades from the CIPR. PRMoment have put us forward in no less than nine categories. Yep, you heard that right— nine categories and eleven entries shortlisted in total. 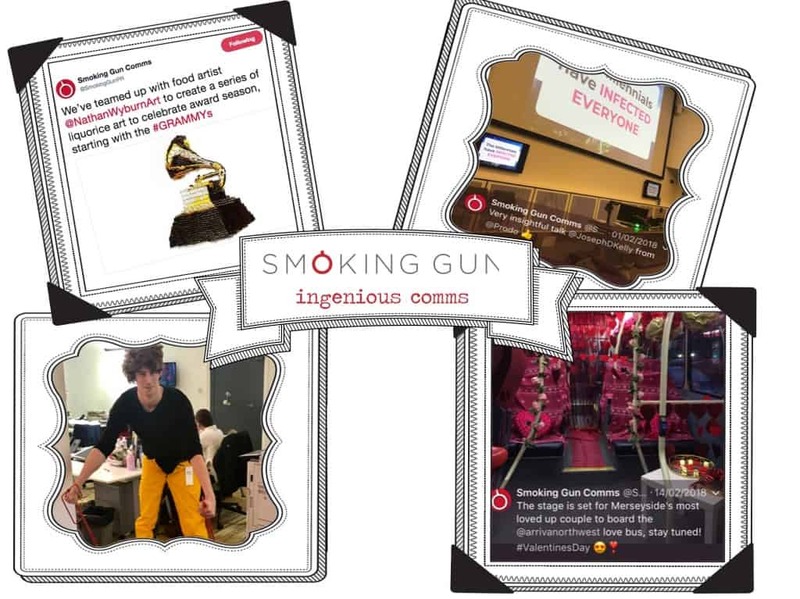 These include Integrated Communications Campaign, Best Use of Research, Best Use of Content, Best Use of Creativity; Health, Beauty, Retail & Fashion Marketing Campaign (twice), Automotive & Transport Marketing Communications Campaign (again twice! ), Not For Profit Campaign (yet another two contenders for us), Media Relations Campaign of the Year, and, perhaps best of all, Boutique Agency of the Year. Members of our team have also been getting individual attention, too, with Martin— copywriter responsible for the in-house blogs and newsletter here at Smoking Gun, who’s also a prolific freelance journalist— in the running for Best Print Article at the annual Holland Press Awards as a result of his 2017 feature on the Dutch city of Utrecht. Best of luck to him then. All that aside, we’ve had a great few weeks representing the brands we love to represent, too. Recent standout coverage includes a great piece in The Times on behalf of Silentnight, one of several national hits coming off the back of its eco mattress campaign. And in other Silentnight news, we will be breaking the mould again shortly with what could well be the UK’s first speed dating event to take place in bed but more on that next month. Of course quality, targeted national media coverage is on the agenda every week for our clients. We specialise in crafting stories where there is no ‘new news’, digging deep into data analytics and sourcing the best emotion driving human interest angles to deliver multimedia hits. This last week alone we’ve shifted hats from car after care products to skin and beauty to score some serious attention and drive sales thanks to the power of people and how brand solve their problems. From the good folk at Scotland’s Daily Record, a double-page spread on our sad and equally inspiring case study . Naturally, we’re proud as punch then, not least given we also bagged a host of great spots for a powerful beauty product case study on the online versions of a raft of nationals such as the Daily Mail, Independent, The Mirror, The Sun, The Express and across numerous regional titles including the Liverpool Echo and Bristol Post – all utilising the fabulous video content we crafted to support the words and pictures too! Good news all round, all that’s left to be said is bring on March.